On 21st June 1880 the foundation stone of Orroroo Memorial Hall was laid. The building was opened on 11th November 1880. The two story front section of the building was built 1893. It was constructed from local bluestone from Pekina Creek and the bricks from the brick kiln at Walloway. In 1924 the main hall and stage were enlarged to provide a dress circle and an under stage dressing room. It’s a substantial building in the town, with its classical detailing and architectural qualities poses an important contribution to the main streetscape. Orroroo is a rural community situated in the foothills of the Flinders Ranges with a population of approximately 610. The town is notable because it is the crossroads of main roads from East to West (Sydney to Perth) and North to South (Adelaide to Darwin). 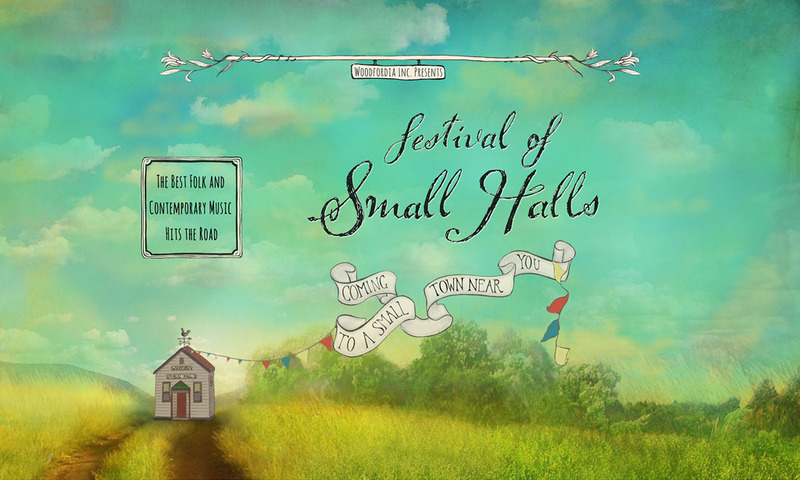 We are situated near the Goyder’s Line so our seasons can be so unpredictable but we remain a very passionate, welcoming and resilient community and so excited to have the small halls festival visit us. Festival of Small Halls rolls into Orroroo on Friday, 15 March 2019 with award-winning Canadian trio The Once and Australia’s John Flanagan. The Three Roos will entrance you with their raw lyrics and natural talent. Mackenzie White’s country vocals and rhythmic guitar playing is matched to Ange French’s bass riffs whilst Cam Naismith will tap out magical rhythms on the electric drums. Sing along to some of their country folk tunes that will take you back to fond times and memories.